This ball tray is a convenient way to store your balls when not in use. 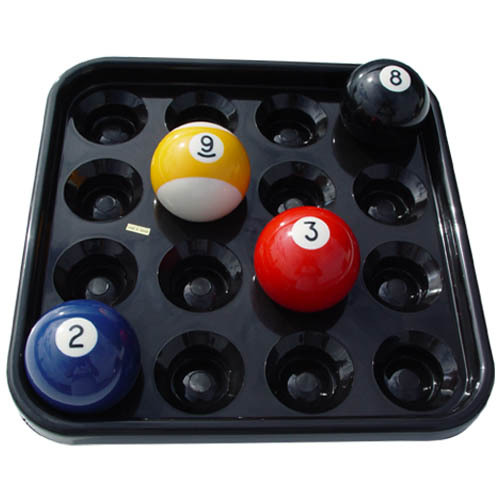 Pool rooms use these plastic billiard ball trays to store their balls, and for patrons to carry the balls to the table. They hold sixteen pool balls.